Last week I had the opportunity to do something that I had never done before. We went canoeing. With some friends and their families, we rented a few canoes, packed the coolers, grabbed the life vests and set out on an adventure. With this being the first time I have ever canoed, obviously, I had no idea what I was doing. We loaded all of our gear into the canoe and away we went. A wobbly, shaky mama stepped into the boat and hoped for the best. As we started out, my hubs told me just to sit back and relax and he would do all the work. He had canoed before and was obviously a pro. So I sat in the back of the boat with our daughter between us. I took pictures, admired the scenery and laughed at our friends. Every now and then he would have me paddle on the right or steer on the left to help him out, but for the most part, he did all the work for the first hour and half or so. As we stopped a few times, he told me that his arms were starting to hurt a little. I offered to help but he relented. Finally, about half way through the trip, I offered to paddle and he accepted. 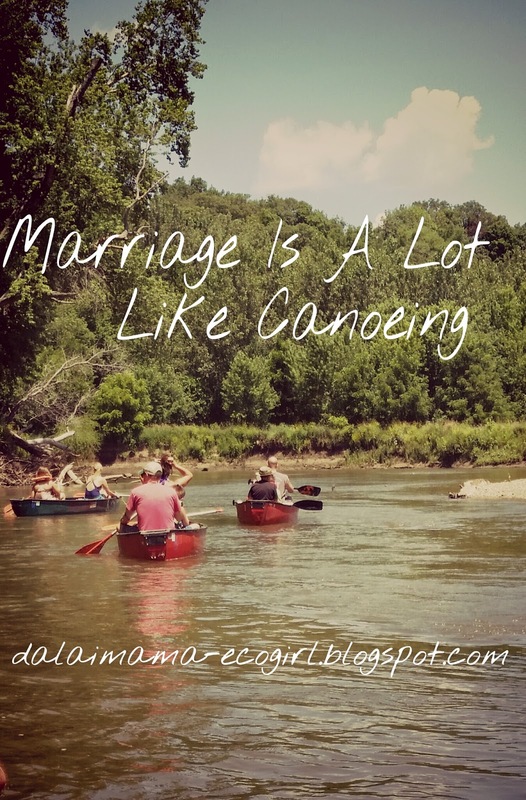 During this half of the trip it occurred to me the similarities between canoeing and marriage. As we started the journey, he wanted to do all the work while I sat back and relaxed. In marriage, when one person is doing all the work, they quickly get tired and resentful to the slacking person. Two people are in the 'boat' together and have to work together. If one person is pulling the weigh of two, bad things are bound to happen. When we were working together, it was hard at first, mostly because I didn't know what I was doing. But as we strolled along, he coached me through the process of navigating corners, how to avoid flipping over and what to do when you get stuck in a downed-tree. Through communication and patience, we worked our way through the rough parts. At times, it got a little scary and stressful and some shouting happened, but we worked together and got through it. There were parts when the water was calm, the current was steady and there weren't many obstacles in the river. Those were the good times. As the trip continued on down the river, we learned how to row in sync. We learned the pattern that the other was following. As we looked down the river together, we were able to anticipate rough patches and we discussed what direction we would take to avoid a tip over or crash. As we navigated the unknown together we also had to keep in mind that not only did our choices affect us, but also our daughter that was in the boat between us. If we made a poor decision, not only would we crash and flip, but she would too. As I watched our friends carefully navigate the river, I watched as they too talked, discussed and at times, yelled trying to avoid the crash. Ultimately, when they did crash and flip, they were able to work together and gather up the remnants of their boat, collect their things and continue their journey. Sometimes life throws curves at us and we crash. It's up to us whether or not we drowned or collect our things and get back in the boat. I am happy to report that we never tipped that day, but that's not to say that we won't in future canoe trips. 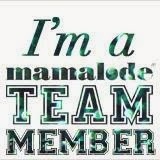 But I know that we work well enough, as a team, that we will collect our things, laugh it off and get back in the boat.